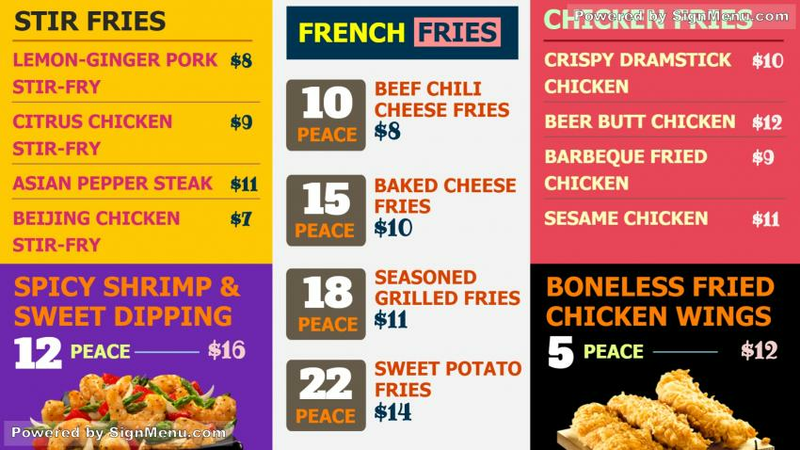 This template is best showcased on a digital menu board or screen just in front of the restaurant and indoors, so that people passing by as well as motorists can stop by and have a bite for lunch, snacks, whichever. In the evenings the digital screen will light up the menu including the vicinity of the restaurant. Name and logo a must for branding and recall. This template provides a custom benchmark for content and display , and is ready for download and use.